Crusty Pandesal ~ I Can Do That! The recipe for these crusty but soft pandesal buns is adapted from the hamburger bun recipe in ADVANCED BREAD AND PASTRY by Michel Suas. It has a 12-hour pre-ferment which I thought would make the pandesal more flavorful. And they are specially with brown sugar glazed ham and moist omelet or breakfast sausage patties, egg, and a slice of sharp cheddar cheese. Mix all the ingredients in a bowl until well incorporated. Cover with plastic wrap and allow to ferment at room temperature (65 to 70°F) for 12 hours. In the bowl of a standing mixer with the dough hook attachment, mix all the ingredients except bread crumbs on low until fully incorporated. Increase the speed to medium and knead for 5 to 6 minutes until a soft smooth dough forms. Transfer into a container, cover with plastic wrap and let ferment on the kitchen counter for 45 minutes to 1 hour. Knead lightly then divide and scale to 2 ounces. Cover and let rest for 30 minutes. Shape into ovals and flatten slightly. Dredge in bread crumbs and place on sheet pans 2 inches apart. Cover with plastic wrap, put the pans in food grade plastic bags to proof for 1 hour and 30 minutes. Bake in a preheated 400°F oven for 10 minutes, lower the heat to 375°F and bake for another 10 to 15 minutes or until golden. Let cool on wire racks. 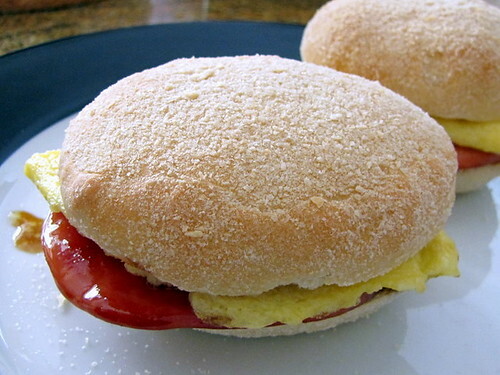 with these photos, i really miss hot/warm pandesal in the mornings. i've been meaning to make my own pandesal but i'm a bit scared it might not taste good :(. my parents used to have a bakery and hot pandesal was always around early mornings (which we pair with hot choco)...nakakamiss. That looks great. I love the recipe. 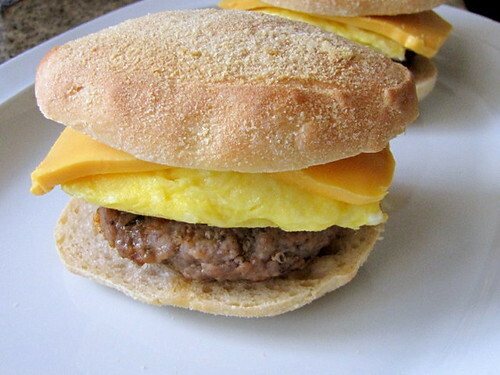 wow, thats what i like on a bread-for-breakfast a crusty and soft pandesal and those fillings. photos makes me crave for pandesal...really looks delicious! happy weekend! Those pan de sal look really scrumptious! I miss pan de sal! The recipe sounds really complicated and professional but hey, anything for pan de sal! Trissa, it takes 2 days but most of it is for the pre-ferment. I mix the sponge before I go to sleep and by morning it's ready. I'm so glad I found your site again. I was rechecking a similar recipe we have for Sans Rival. Thanks for the tips. Pat Dayrit's old cookbook also doesn't say how long to bake in the oven...Really yummy recipe though! Nothing beats it. oggi, update: i made the crusty pandesal and i was so happy it came out good. i'm going to make the soft one this coming weekend. by the way, i'd like to ask permission to post your recipe with your blog as source. thank you. Hi Kayni, that's great! I'm also making a batch tonight and tomorrow I will replace half of the bread flour with whole wheat. Hi Oggi - absolutely love your Filipino bread recipes, especially the monay which I have shared with so many friends. Do you by any chance have the recipe for crusty Bonete? I have been looking for the Batangas version which is crusty on the outside and soft and chewy on the inside. Everything I have found so far is more like a dinner roll. Help please? I've never heard of bonete and started searching online. I will try to make similar shaped although I don't know the texture and flavor. Are they sweet or salty? I even found my own bicho bicho recipe which according to the commenter is the closest to the bread. I have my doubts, though. From the photos of the dough and finished buns, the soft crumb resembles brioche more. I'll blog about the bread in the coming days. Thanks for introducing me to this unfamiliar Filipino bread.